Posted on December 1, 2010, in Christmas, Dear Santa, Flashbacks, Traditions and tagged Cabbage Patch Dolls, Christmas, flashbacks, Holidays, letters to Santa, photos, tradition. Bookmark the permalink. 20 Comments. Writing to Santa is so magical and it’s easy to think that anything is possible when you believe, truly believe. What a dynamic Grandma who was courageous in sharing her wishes and hopes for a soon-to-be treasured doll with her precious granddaughters and helping them write and submit their letters. Thanks for sharing this heartwarming story that is such a testament of faith. Santa! 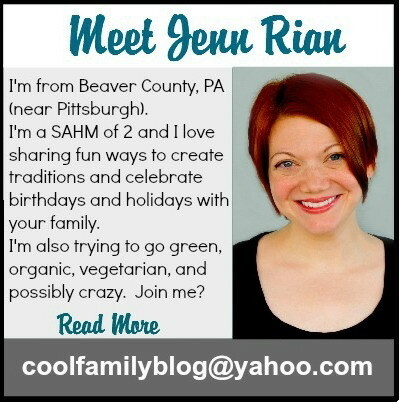 I’m sooo excited that Santa replied on my blog! I love you, Santa! I DO have an awesome Grandma. I still use my Cabbage Patch Kids for Touch of Home Learning, In-School Events. I was getting ready for our Crime Scene class (the dolls are the suspects of a crime) and my dad was here. He told me about how I wanted a Cabbage Patch kid so bad when I was younger. They found one that looked just like me and was going to get it for me. There was one last one on a shelf (other than the one my dad had), this little girl was looking at it about to ask her mom and dad to get it. Some adult snatched it off the shelf and she just started to cry. Now my parents don’t know what the parents were going to do. Get it for her or say, no Santa might bring you one. They had no clue. But the one that looked like me was given to this other family so another little girls Christmas would not be ruined. I still ended up with one so everyone was happy. I love your site and I am following from Blog Frog. I would love it if you stop by sometime and follow back if you like what you see. Sara, I LOVE your story! Wouldn’t it be awesome if you could find out whatever happened with that doll?! I bet that little girl was truly blessed 🙂 I’ll stop by your blog soon and I appreciate you following. Things have been a little crazy around here lately and I’m sooo behind! 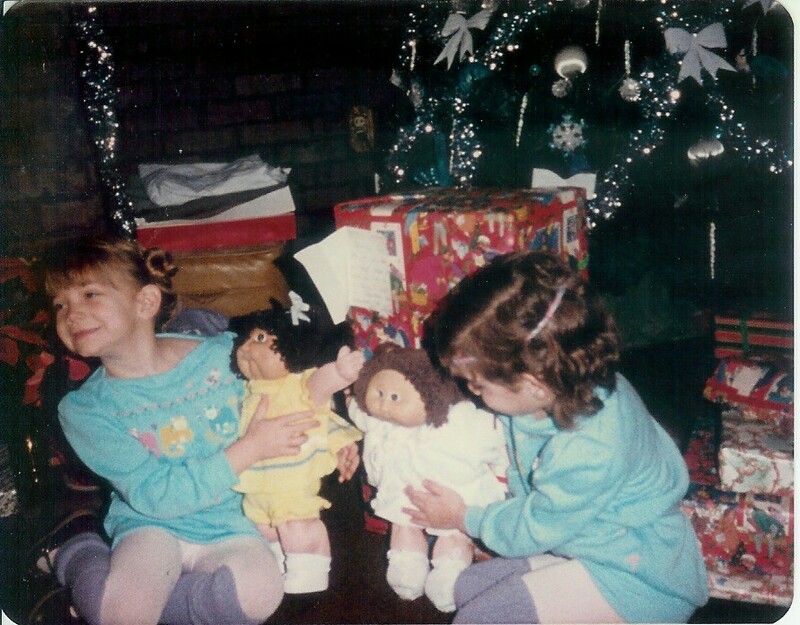 Yeah, we had the yarn-haired dolls. The corn silk hair definitely looked fun to brush! Aren’t they just the ugliest dolls…why were they so popular?! We sure loved them! Thanks, Sofia! I’ll have to stop back soon…this has been a crazy month! 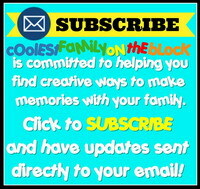 I sure appreciate you following up with me 🙂 You’ve got an awesome blog! Does Grandma still have her preemie? You looked so happy on Christmas day! 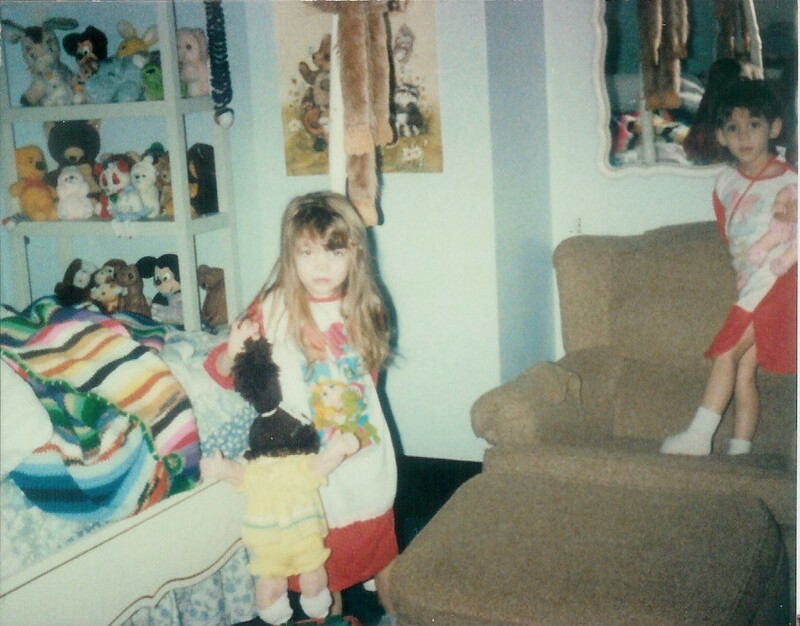 You must have totally wound down later when you were dangling your doll in the air by her ponytail. A Christmas morning ‘explosion of gifts’ will do that to you! 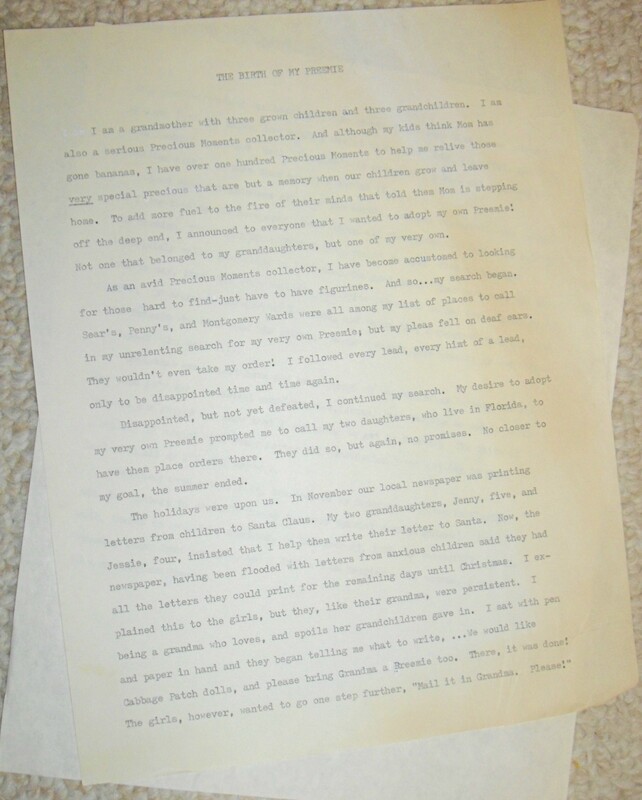 It’s funny I’d almost forgotten about this until I came across my grandma’s typed story and then it all came back to me! I can still see that preemie in the box inside her closet in my mind’s eye! Sure wish I had a picture of it! Thanks, zeemaid! I sooo wish that I had a picture of Grandma with her preemie! She still has it, I think, so if I ever go and visit her in Florida again I’ll have to ask her to pose for a photo with Jenny Lynn! 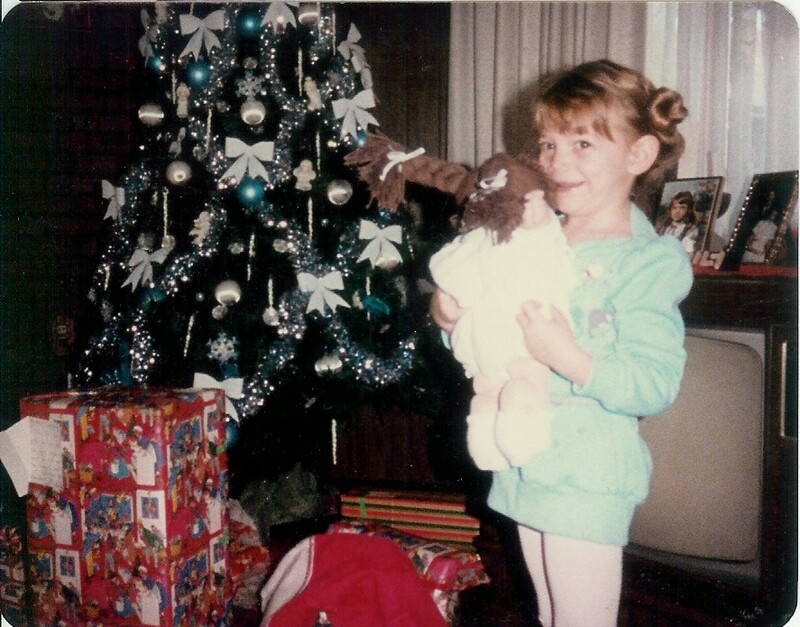 Yeah, I didn’t have many new dolls at 12. As you can see they were near impossible to get here in the U.S. in ’84, so I’m not sure how difficult it would’ve been to get one in Canada! 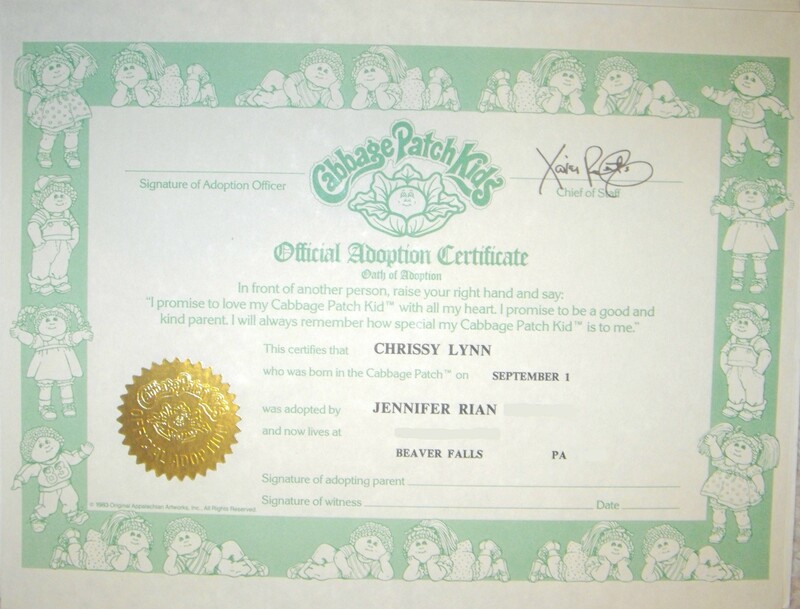 If I still had my cabbage patch kid, I’d share her with you…but she disappeared over the years, like many of my toys. I wish I still had her…they went through so much trouble to get her! What a cute story! Your Grandma was a good writer like you. I have no idea what a Preemie is but that didn’t matter. I understood and enjoyed the sentiment.